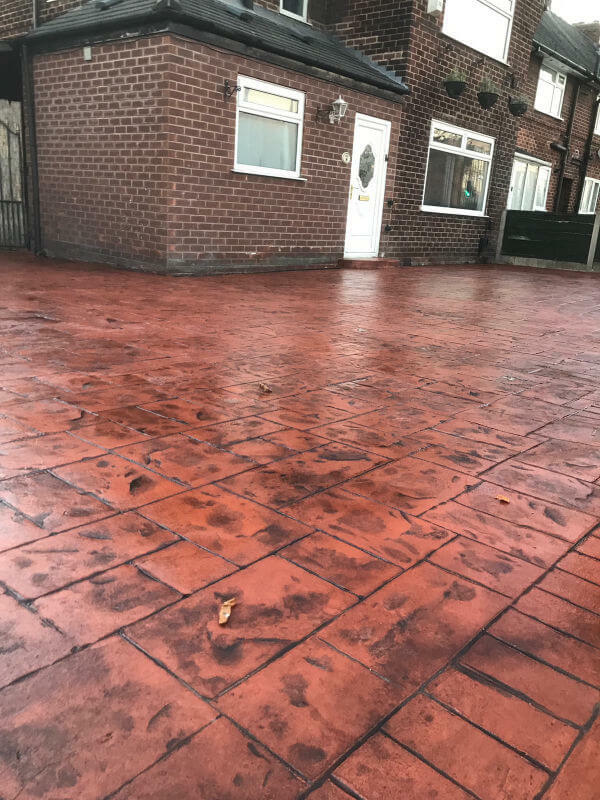 Planet Surfacing recently undertook a project for a new driveway in Wythenshawe, Manchester. 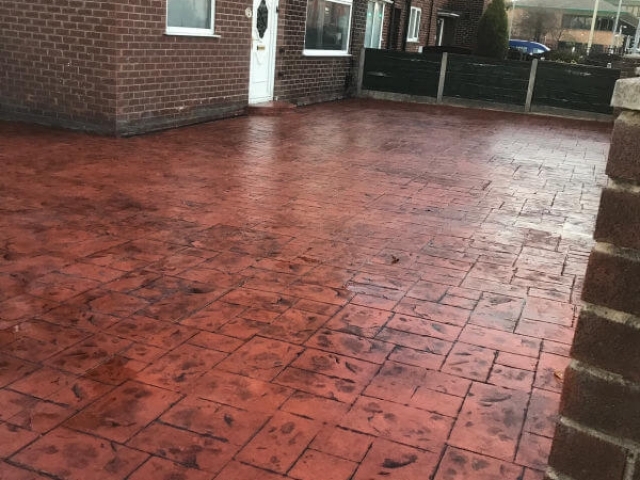 Why choose a pattern imprinted concrete new driveway in Wythenshawe, Manchester? 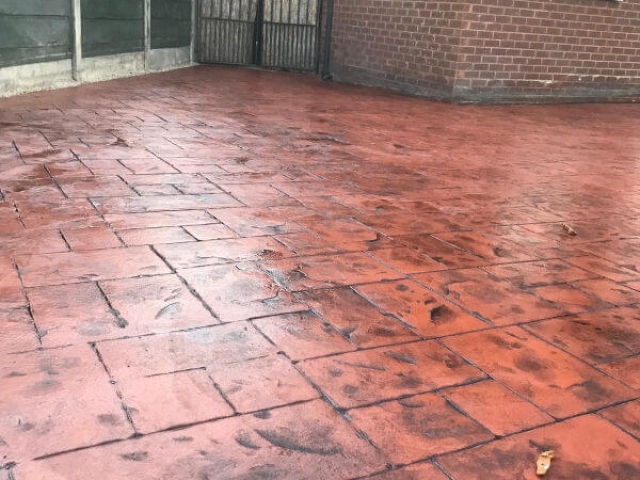 While it is designed to resemble either brick, slate, or cobblestone amongst several other patterns, pattern imprinted concrete does not require the same level of upkeep and so can be more economical while still achieving the desired look. 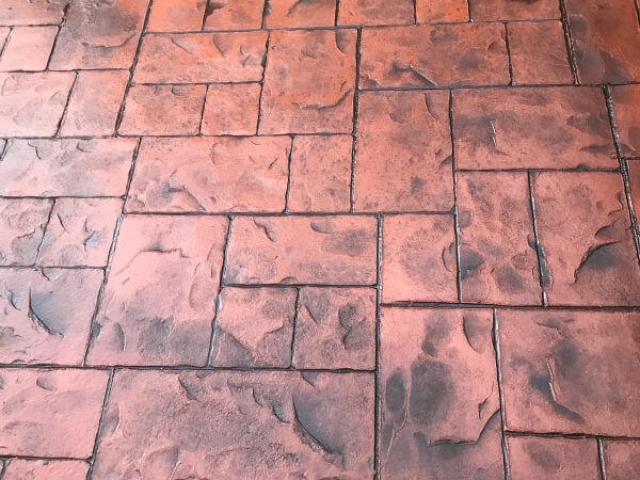 For the untrained eye it can be difficult to tell the difference between a pattern imprinted concrete driveway and a ‘real stone’ driveway. 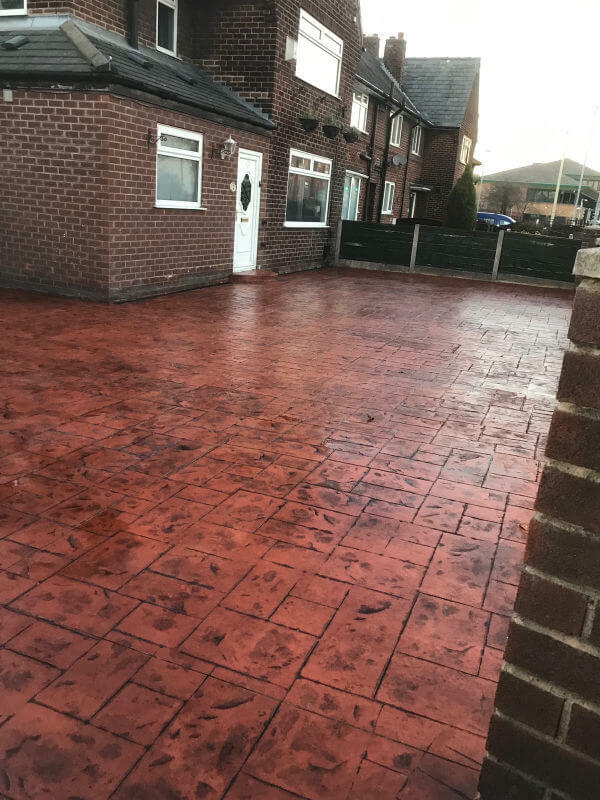 Pattern imprinted concrete driveways are also easy to install and so for the client it means minimum disruption as the whole process of having the driveway laid can take just a few days. 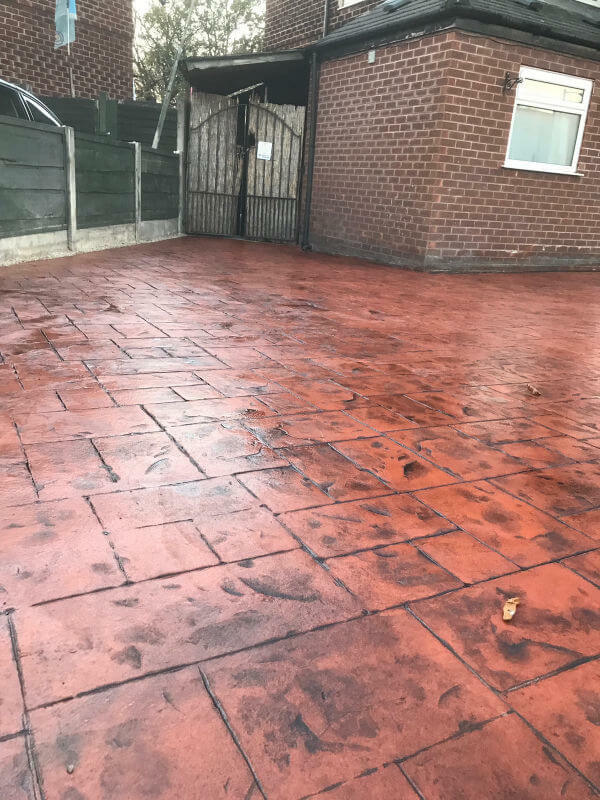 As you can see from the photographs included of this recent project, having the pattern imprinted concrete across the entire front of the property created a large expanse for parking cars. It modernised the front of the property and actually made the whole area look a lot bigger! We added a half round step at the front door and aco drainage that ran along the house to ensure surface water had somewhere to escape to. 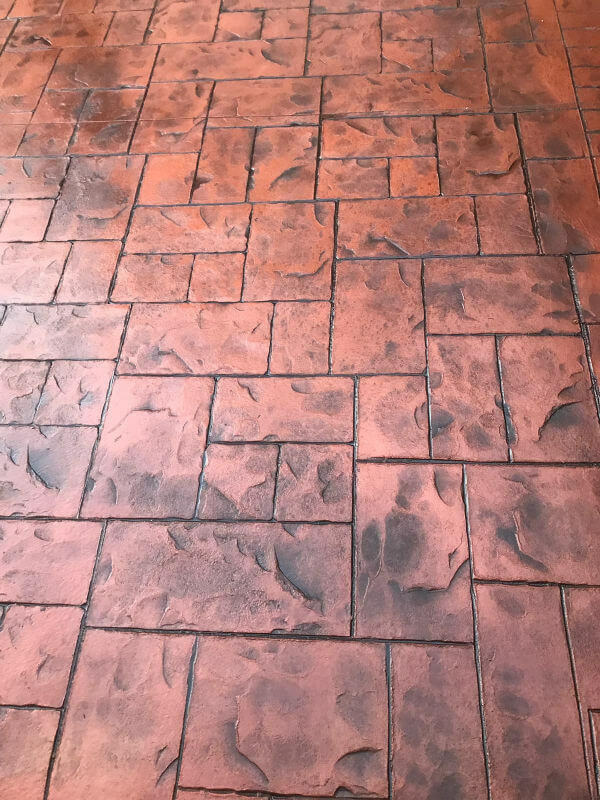 As pattern imprinted concrete is non-permeable it needs proper drainage. At Planet Surfacing we always ensure that this is installed so that it complies with planning regulations. 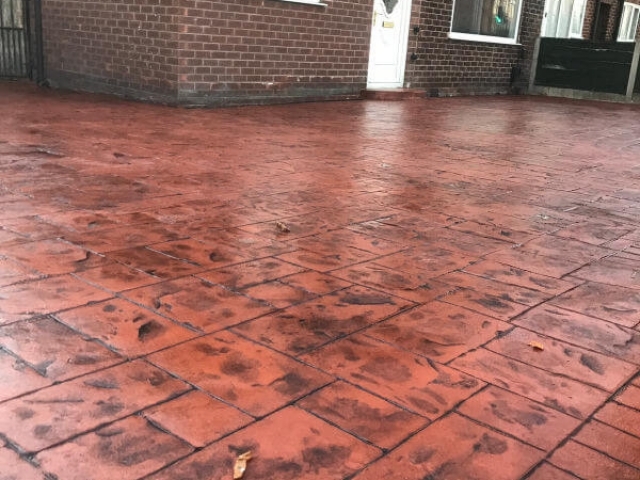 Our clients were really pleased with the end result and were especially relieved that they no longer have to regularly remove the weeds growing between the expansion cracks of their previous block paving!